Punnett's Square: Could Genes Responsible for Antler Growth Benefit Human Bone Growth? Could Genes Responsible for Antler Growth Benefit Human Bone Growth? Antlers in deer regrow quickly and efficiently as each season produces a new pair that can reach up to 50 inches long, scientists have identified the two genes that control this growth in deer DNA. Similar genes have also are believed to be located in human genetic makeup. This means that those people who have genetic conditions that relate to bone growth can hopefully receive gene therapy in the near future. The study started by collecting samples from deer antlers and discovering that they were mostly comprised of stem cells, these stem cells produce similar RNA to humans. This allowed for the RNA to be injected into mice to tinker with the genetic makeup to hopefully produce the proper DNA sequence to aid in bone growth. 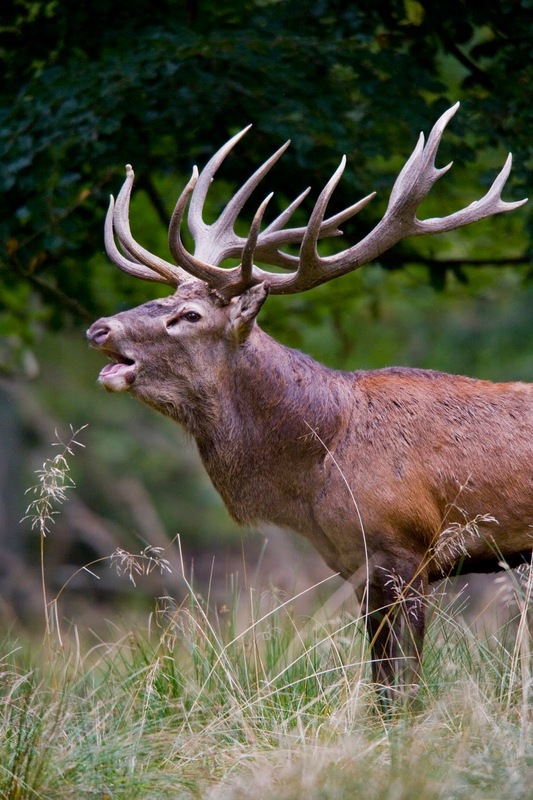 The study identified genes uhrf1 and s100a10 as the genes responsible for the antler growth and is currently under testing to understand how they function. Uhrf1 is a tissue promoter while s100a10 creates calcium deposits, these two genes in tandem are what creates antlers in deer. The study claims that if successful, these genes can have unrivaled potential in the health sciences fields. I believe that such a study is key to helping out those affected with bone conditions and those that struggle with maintaining bone density such as elderly and sickly people. It seems almost obvious that the genes that cause antler growth in deer would also help produce bones in humans. Those who have held or felt an antler can notice it is strikingly similar to bones in its appearance alone but the structures of each could differ at the genetic level. However if the study can find some way to manipulate these genes than it truly would have unrivaled potential in health sciences. This article highlights the versatility and importance of genetics studies. It is amazing how mechanisms in one animal can be worked out to be applied in humans, which demonstrates how organisms of different species are connected. I do hope applications for this gene can be used in treatment one day. This would be such an amazing achievement for humans if the scientists can find a way to manipulate the genes. Many people suffer from bone growth problems, even some people I know. Like you said, considering how similar the antlers are to bone, it would be assumed that their genes could help our bones grow too. I also enjoyed Daniel's comment. It is so amazing how much animals can help humans. Also, I agree that this discovery highlights some very important benefits of genetic studies.